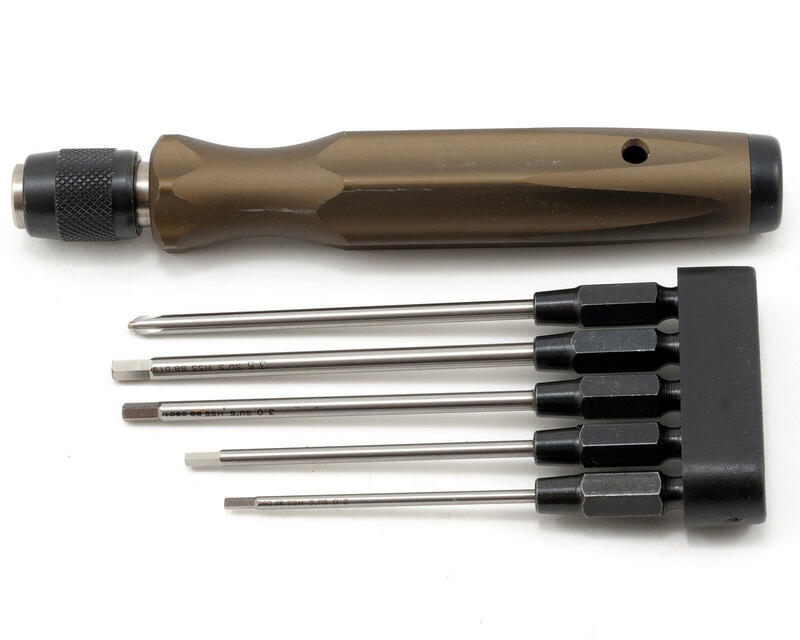 This is an Align Hex Driver & Phillips Head Tool Set. These tips are machined from HSS high alloy steel to help prevent wear and distortion, and were built to withstand the abuse of long wrenching sessions. 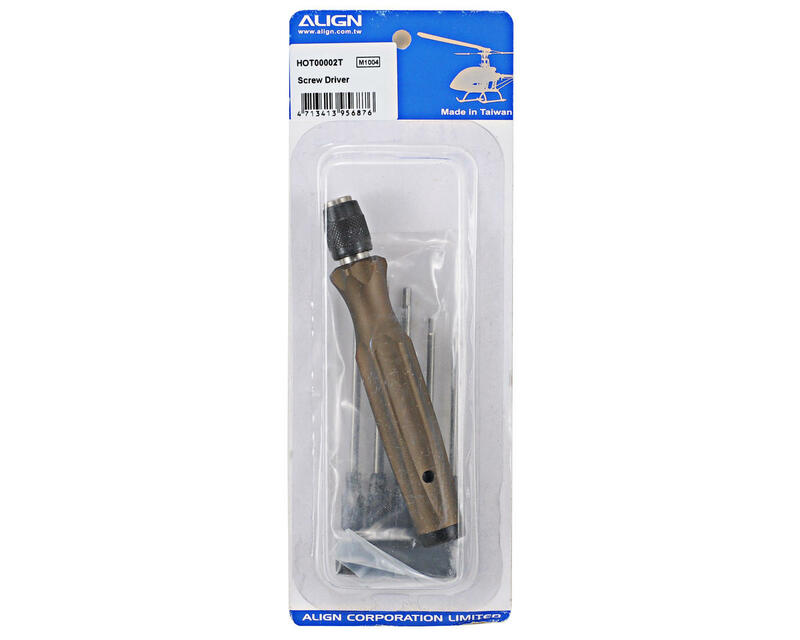 The CNC machined handle is comfortable and features a quick release chuck to hold the tips securely in place. #2.0mm Broke on the first screw pin on my summit.Could be just a defect in the steel but it still broke. Bought it elsewhere (ebay :) ) for similar price. I have used its 1.5mm extensively on my 450 heli - very good. For this price I could say its an excellent set - as good as hudy by quality, maybe even better, has 5 tips, perfect tip size and durability, comfortable and weighty alloy handle(I like it that way). I am not sure what else I could add to this set - maybe one more smaller philips ? Very good set for the price. Although I wished it has an additional small philips tip. (Aug 20th 2013) Sizing is spot on, to the 100th of mm. The length of the 2 mm driver steel shaft is 50 mm and 81 mm overall. Handle has a solid feeling, but I don't use it as I put them in my driver drill. Bits are a little loose in handle but is only slight. Has a locking spring head. Only markings on steel is the SU'S HSS and its diameter size. No indication of hex size. Packaging is simple and non descript. Overall I'm very happy with the purchase. I will update this review if they fail me.